As a writer of video game reviews, you’d think that when I have to play something, I’ll stick with it for longer than an hour at a time. This isn’t the case though, especially for the sort of games I’d rather not be playing. Take this week for example. Yesterday I played two games I’ve been enjoying for a few weeks now, God of War Collection and Persona for PSP, but I played each for no longer than an hour. 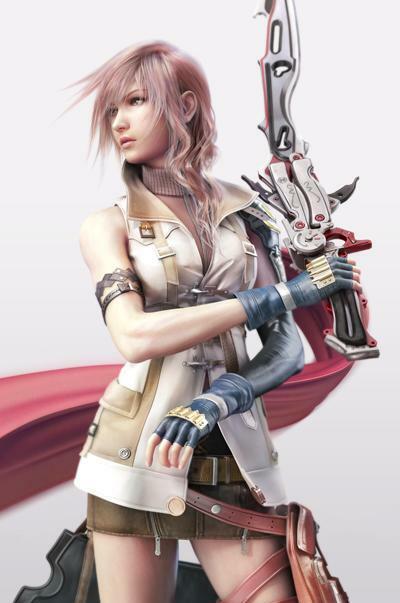 Today, I played Final Fantasy XIII for 4 hours straight (A feat Leona Lewis wouldn’t have managed! ), the same happening with Heavy Rain a few days earlier. I know that GoW is a fantastic game, probably better than FFXIII in the long run, but after an hour I needed a break from the game. This pattern usually ends up with me playing one ‘world’ of a Mario game, complete a mission in Army of Two, beat a dungeon or a boss on Darksiders to name but a few examples. Give me Metal Gear Solid 4, Any Final Fantasy or Uncharted 2 and I ‘wake up’ from my trance later that night. Can playing for hours on end without feeling bored be the sign of a truly great gaming experience? It’s far too late to answer questions like that…back to Final Fantasy XIII I go.